Right now, It is one of the most-popular things going on out there. It's the story of a group of kids going out and defeating a vile monster. And then you've got things like Stranger Things, that people are excited about the upcoming season. Well, if you're wanting to bring that sort of setting to your gaming table, you can check out The Monster Hunter's Club. It's a setting book for Savage Worlds that lets you play around in such a universe. The book is up on Kickstarter now. 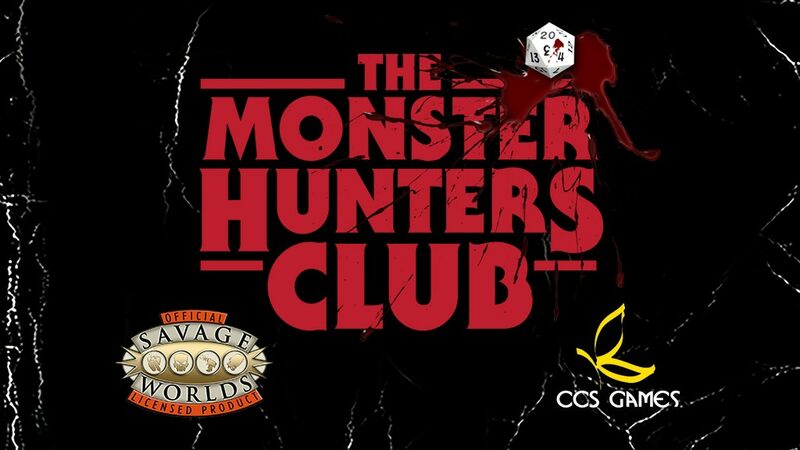 The Monster Hunters' Club is a licensed setting for the Savage Worlds Roleplaying Game set in the 1980's and inspired by kids' adventure and horror films, television, and novels like E.T. The Extra-Terrestrial, The Goonies, The Monster Squad, The Lost Boys, Fright Night, It, Super 8, Stranger Things, and many more. Players take on the roles of children, growing up in the 80's, who become heroes. The campaign's about 2/3 of the way to their goal with still 28 days left on the clock.